It was only three weeks ago that we covered Tweetbot 1.2, an update to the popular Twitter client from Tapbots that added retweet undo options, old-style retweets, Pinboard support and a new user/hashtag picker in the compose screen. Today, another update to Tweetbot has been released, reaching version 1.3 and adding new design refinements, Twitter features, as well as general fixes aimed at improving the user experience. 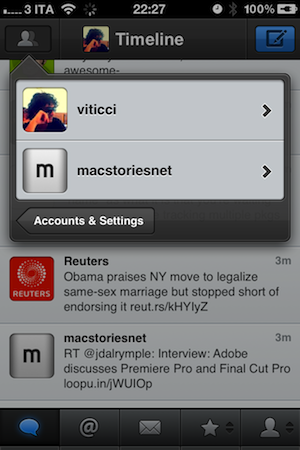 Tweetbot 1.3 comes with a new account switcher popover that adds one extra step to go back to the account screen, but should prevent users from accidentally hitting the button when touching the top timeline bar. Tapbots received several reports of users annoyed by the fact that the button was too close to the timeline selector, and rather than removing it or replacing it altogether, they figured out a way to quickly switch accounts or go back to the accounts & settings page. It is an extra step but the trade-off should be worth it. 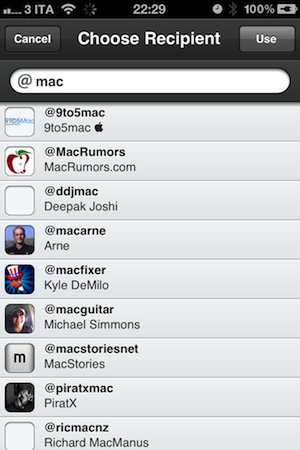 Also improved in Tweetbot 1.3 are direct messages: you can now delete entire threads and single messages, copy them and translate them, but also enjoy a new recipient selector when composing a new DM. Obviously, Tweetbot has already been updated to include Twitter's recent policy changes and OAuth login to use direct messages (if you haven't re-authorized the app, do it now). 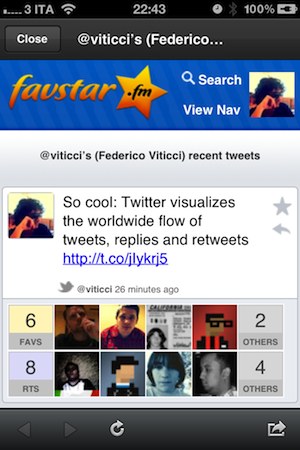 Another new feature that had me excited to check out Tweetbot 1.3 is Favstar support: for those who don't know, Favstar is a fantastic ego-booster service that lets you see how many people have retweeted and marked your tweets as favorite. 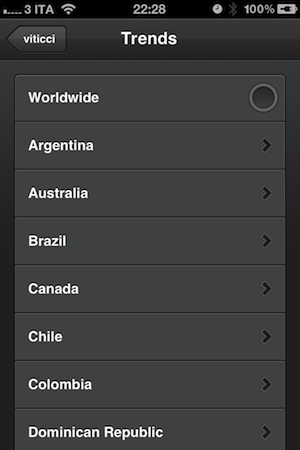 It provides a "most recent" list, as well as an all-time chart to see your most successful 140-character messages ever. 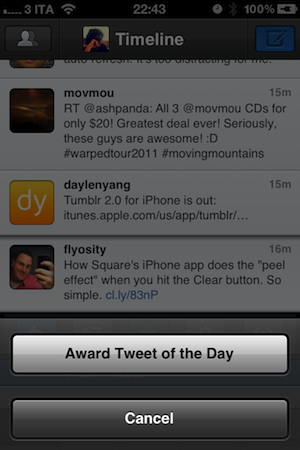 I'm addicted to Favstar, and Tweetbot now comes with handy integration to invoke the "award tweet of the day action" (tap and hold the favorite button in the tweet drawer) and open your Favstar profile (double tap your profile tab). I love this. "Add to List" feature improved and renamed to "Manage List Memberships"
Gaps now load above or below depending on position of gap when button is invoked. Drafts button now displays # of drafts. It's great to see Tweetbot getting better and more powerful on each release, and you can read more about the future of the app here. Or, you can check out more screenshots of version 1.3 below and download the app here.